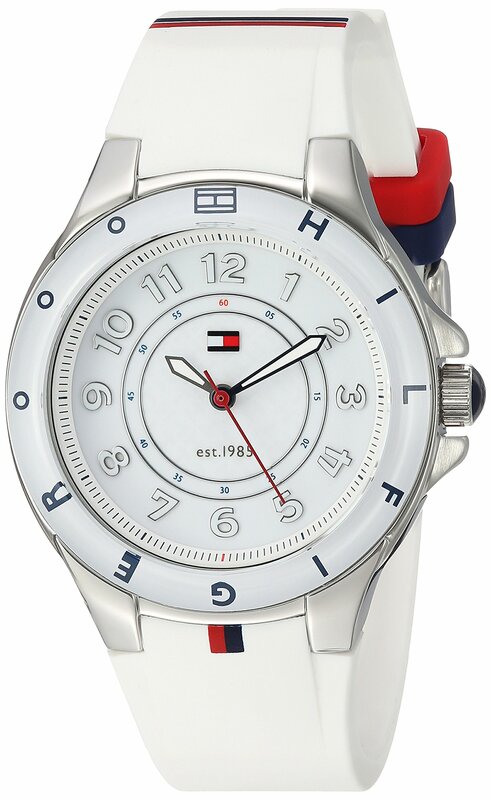 • Only purchases from an authorized retailer of Tommy Hilfiger Watches are covered by the manufacturer’s warranty. 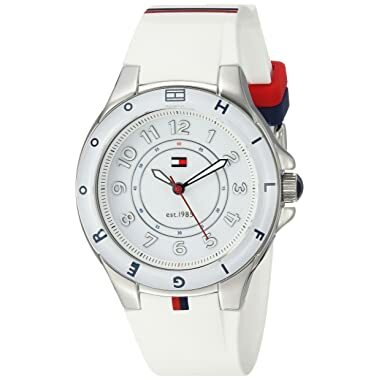 Amazon is currently the only authorized dealer of Tommy Hilfiger Watches on the Amazon.com site. In 1969, Tommy Hilfiger began his retail career while still in high school with $125 and 20 pairs of bell-bottom jeans. This entrepreneurial spirit mixed with raw talent led him to establish a small chain of retail stores, where he designed the clothes people wanted but could never find. In 1985, Hilfiger introduced his signature collection of menswear. 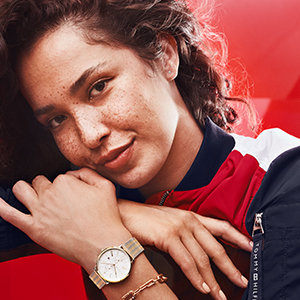 Since its inception, the Tommy Hilfiger brand has been built on a powerful design philosophy: Adding fresh, new perspective to traditional, all-American stylings. This approach proved so compelling, that in less than two decades, the Company grew from a single line into a global business encompassing a wide range of products. From menswear and womenswear to licensing agreements in accessories, footwear, fragrance and more, Tommy Hilfiger has become a fashion icon. In 1999, Tommy Hilfiger entered into an exclusive, ongoing licensing agreement with Movado Group, Inc. for the well known watch company to design, manufacture, and distribute Tommy Hilfiger Watches worldwide. 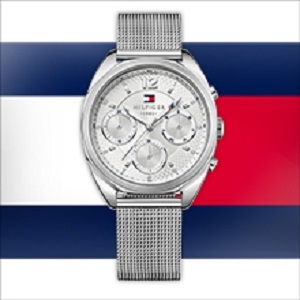 Meticulously designed to complement the Tommy Hilfiger lifestyle and brand aesthetic, the launch collection combined a cool, classic sophistication with quality craftsmanship. 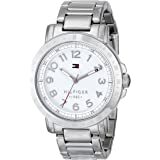 A Tommy Hilfiger quartz analog watch has a 1.55-Volt silver-oxide battery. 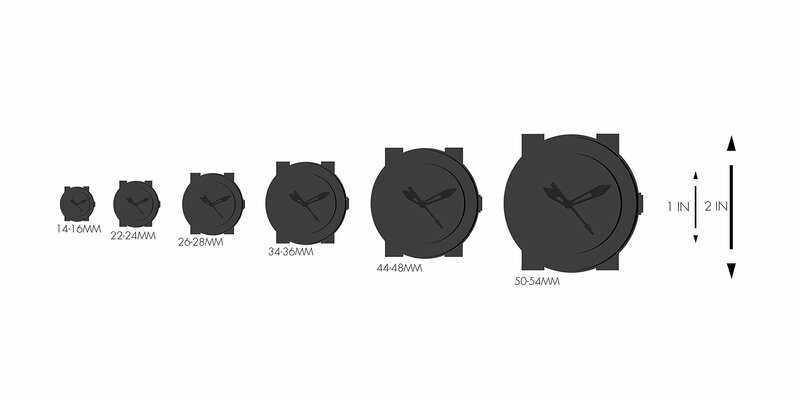 It is specially designed for watches and will last approximately 18-36 months under normal use. NOTE: Frequent use of special functions, like the stopwatch timer on chronograph models, may shorten battery life. 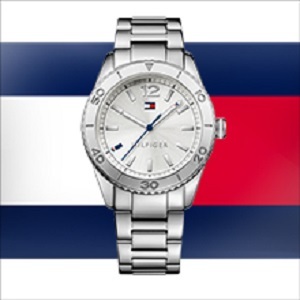 All Tommy Hilfiger watches meet international standards for water resistance to 3 ATM, so faucet spray or rain won’t damage them as long as the case, crown and crystal remain intact. DO NOT press the push-buttons on a chronograph model when the watch is under water, or it will not remain water resistant. NOTE: We recommend that you do not get your leather strap wet. Exposing leather to water can cause premature wear and deterioration. 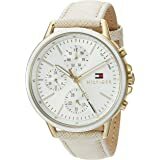 Tommy Hilfiger Watches (THW) warrants to the original consumer that his/her watch will be free from defects in materials and workmanship under normal use for a period of ten (10) years in the US and Canada, or two (2) years in Europe, Asia and Latin America, from date of purchase. During this period, the watch movement will be repaired or the watch will be replaced (at the sole discretion of THW) free of charge, if it proves to be defective in material or workmanship under normal use. 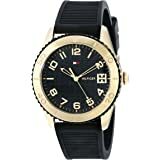 This limited warranty does not cover batteries, straps, gold-plating, scratches or any damage arising from normal wear, accidents or misuse, or from any alteration, service or repair performed by any party other than the Tommy Hilfiger Watch Company or one of its Authorized Service Centers. 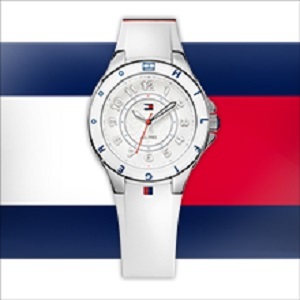 As one of the world’s leading premium lifestyle brands, Tommy Hilfiger watches delivers superior styling, quality and value to consumers worldwide. 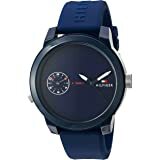 Since 2001, when the first TH watch collection was launched, Movado Group has exclusively designed, manufactured and distributed Tommy Hilfiger Watches, a leader in the industry, renown for quality and craftsmanship. Timeless stainless steel wrist wear for a touch of glitz and glamour that is simple yet stylish. Watches with true Tommy DNA. A sporty style in red, white, or blue. Modern and sophisticated wrist wear in plated mesh bracelets and heritage dials.